Guilin is China's most picturesque region and has long been one of the world's most famous travel destinations. No trip to China is said to be perfect without visiting Guilin. 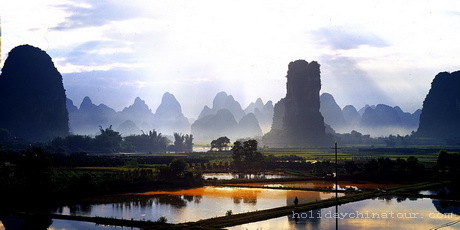 Guilin is a beautiful city surrounded by two rivers and four lakes and karst mountains. There are also some world famous scenic places around Guilin, including the picturesque Lijiang River; Yangshuo, a small town downstream from Guilin; Longsheng with its best known Longji rice terraces and much more. Holiday China tour offers wonderful Guilin tours include Yangshuo travel tours, Li River cruise, Longji tour, Guilin photography tours and tailor-made tours for group and individual travelers. 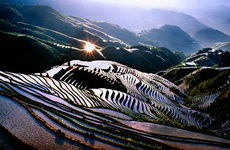 Private Guilin Tours arrange private tour guide, private vehicle and customized tours for tourists to travel in Guilin. 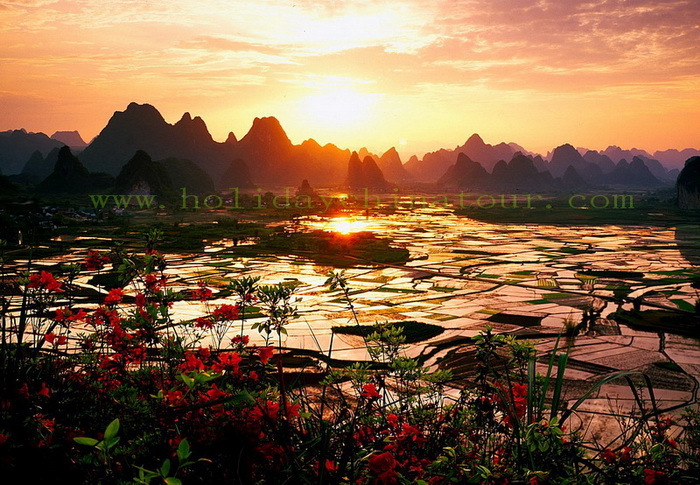 All our private Guilin tours package offers more flexible choice for travelers. 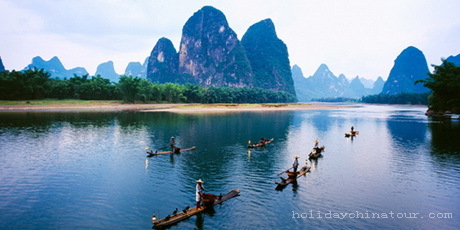 Private Guilin tours are usually the best tours for in-depth of history, nationalities as well as the natural sceneries. Guilin Photography Tours are unique and very professional Guilin Tours. Join-in Group Guilin Photography tours are guided outdoor adventure photography for small travel groups. Welcome individual photographers to participate Guilin photography tours. Our Guilin photography tour guide will take you to the most beautiful landscape to capture the sunrise and sunset view in Guilin and around. 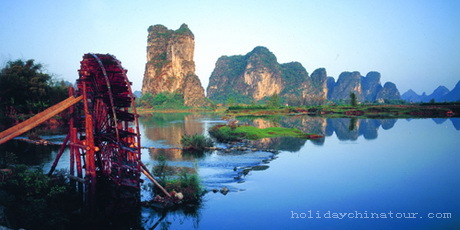 You will enjoy to see the amazing countryside colors and minority lifes in Guilin. 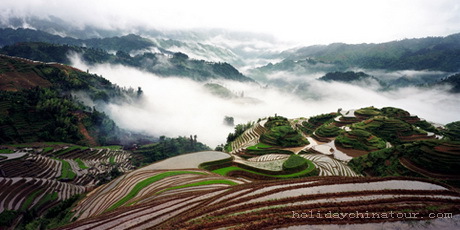 Guilin photography tours are the best in-depth Guilin tour. Guilin Day Tours arrange English speaking tour guides, veteran drivers and quality vehicles for tourists to enjoy the best of Guilin tour. 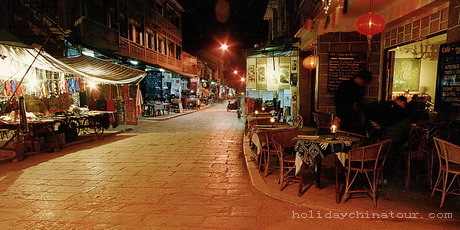 All our Join-in Group Guilin tour costs are much cheaper than private tour packages. We do our best to make your Guilin tour terrific. Hello Lawrence, We just returned home after our flight from Guilin to Jakarta and I would just like to let you know that we were very impressed with the tours you arranged for us in Guilin. Our tour guide, Mary, is delightful and very helpful. Her local and historical knowledge are excellent and her English is very good. The driver assigned to us was also very good and drove safely and was always on time. The hotel in Guilin is nice and very close to the Chongshan Mosque. We love the halal foods at Endian restaurant. 100% satisfaction from our small group! Many thanks for your assistance and we will certainly recommend your company to anyone else who may be travelling to Guilin in the future. With best regards, Charles Lim.